The Children and Young People’s Program has a safe and engaging curriculum structure that incorporates a wide range of age-appropriate activities involving drawing, role-play, stories, discussion, playdough, music and journal activities. All four levels of the program have flexibility to cater for participants with different learning needs or preferences. The learning processes reflect a deep respect for children’s capacity to cope, problem-solve, make good choices, set realistic goals and connect with others. Such learning develops best in supportive social contexts with peers and a caring, skilled adult ‘Companion’. Children’s learning is documented in a personal ‘Seasons for Growth’ journal so that participants can re-visit their insights in the future. There are four different levels of the program. Each level includes eight weekly sessions, a final celebration session and two subsequent reconnector sessions (that range from 40 minutes to an hour depending on age). 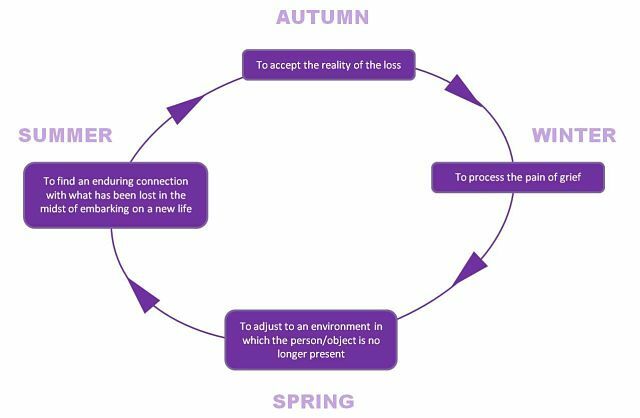 Each weekly session explores a concept theme such as, Life is like the Seasons, Change is Part of Life, ‘Valuing My Story, Caring for my Feelings, Making Good Choices. Change affects everyone differently, as does grief. It’s the impact of the change, not the event itself that Seasons for Growth focuses on. 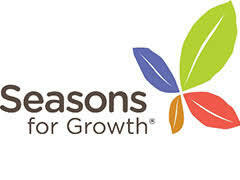 We suggest that anyone affected by bereavement wait 6-12 months before participating in a Seasons for Growth program.